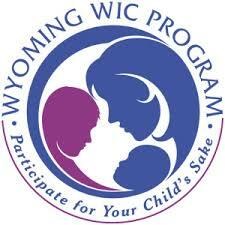 Wyoming WIC | JPMA, Inc. This list provides general guidelines about what you can and can’t purchase using your WIC benefits. The Wyoming WIC program uses ‘off-line’ WIC and therefore cannot load client benefits to the WICShopper app without special equipment. However, that doesn’t mean there isn’t a lot that WICShopper does and can do for Woming WIC participants. WICShopper has helped thousands of Wyoming families scan products to ensure they are WIC-eligible and that they wont have any issues when the reach the checkout counter. Version 2.0 of WICShopper provides Wyoming WIC (and similar agencies) unlimited opportunities to connect with Millennial clients. By bringing WIC assets such as WIC-approved vendor location, office contact information, recipes, tips and education, clients maximize the value they receive from WIC. Janet Moran, M.S., R.D., L.D. Danae Olson, M.A., R.D., N.C.C., L.D. Created by JPMA, Inc. | Copyright 2012 - 2016 | All rights reserved.